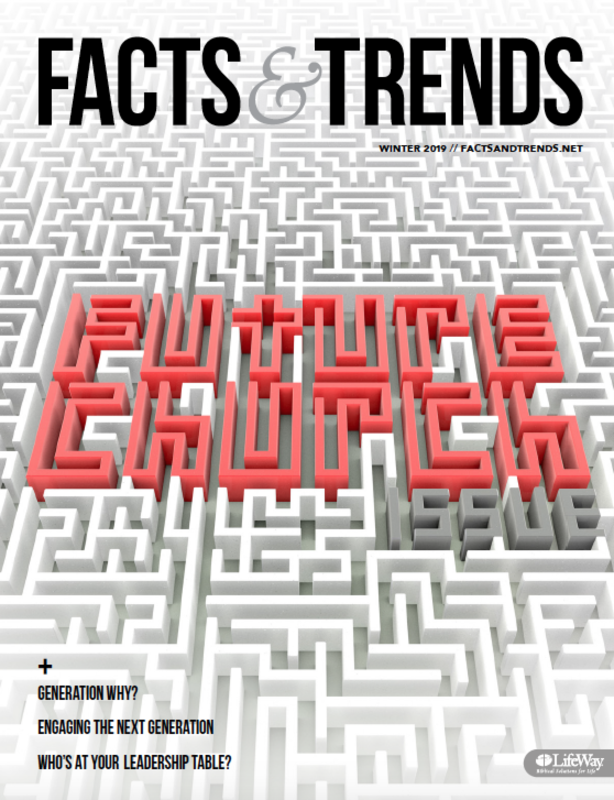 Church growth and impact over the last decade extend beyond the megachurches we hear of most often. The small church has been on the rise as well, freed from past restraints of limited resources and underdeveloped vision. Innovation and technology are driving a new wave of exponential impact. Small churches are finding ways to leverage bivocational staffing. Some are giving away as much as 50 percent of their resources. Others are seating fewer people in one place, but reaching more across multiple campuses and online. These churches are as likely to exist in small towns and impoverished areas as they are in rapidly growing metropolitan suburbs. For many church leaders, it’s a great time to live small and dream big. Here are five questions to consider as your church seeks to make a bigger impact on your community and the world. 1. Does your church possess a focused ministry toward discipleship results? Technology is available to all today and simplicity is in. Because so many resources are readily available online, small churches can produce high-quality programming for worship, children, students, and small groups. Larger churches are also deprogramming to streamline and narrow their ministry focus. The smaller church is simple by nature; the larger church is seeking to become simple by choice. Church ministry programming is more similar today than ever. 2. Does your church have a leadership pipeline designed to raise up the next generation? Creative use of bivocational or volunteer staff is expanding. In the past, bivocational ministry was relegated to small towns or small congregations. Today, more churches are strategically empowering and training a less expensive volunteer and bivocational work force. The typical church dedicates up to half of its income to personnel. Once facility and operational costs are taken into account, ministry resources are often less than ideal. It’s important for churches to have adequate staff, but in this season, it’s equally important to train and equip many volunteers to serve in high-capacity leadership roles. When a church can devote 25-35 percent of its income to staff, leaving a greater share for ministry and community investment, the results are often exceptional. The identification and development of future leaders is a near-constant need. 3. What committed partnerships does your ministry possess? Trusted local and global partnerships are common. Smaller churches need the power and influence of outside organizations to have the opportunity for expanded impact. In the past, churches acted more independently, were less trusting of parachurch organizations, and were more loyal to their denomination. Now, many of these walls are being broken down and cooperative partnerships across faith tribes are becoming the norm. Committed ministry partnerships allow a small congregation to experience a large impact both locally and globally. They also permit large churches to be more effective with their resources. 4. Do you have a plan to reach more while building less? Smaller buildings create more cash flow. One of the major contributors to limited financial resources is church debt. When congregations wisely under build in order to multiply services, tremendous amounts of resources are released for new ministries, staff positions, mission opportunities, and multisite development. Ministry is more fun when you have more liquid resources. As land and building costs continue to increase, more efficient use of space and dollars will become the norm. Even large churches are learning how to multiply in smaller venues. 5. How is your church making disciples according to its unique calling? Uniqueness is being celebrated. Thirty years ago, almost every church looked alike. When it came to meeting times, styles, and programming, worship offerings were pretty much the same. As the church became more contemporary, only a few popular ministry models were adopted because few knew how to create a different kind of church. Today, we have entered a time when leaders are dreaming biblically sound visions in fresh ways. These visions are being lived out down the street and around the world. Technology brings everything in real time and allows us to get there quickly. Like never before, the eyes of church leaders are open to explore their unique God-given vision and calling. Success is now measured in disciple-making and community impact rather than building size or budgets. There has never been a better time to lead a church. Large or small, urban or rural, local or dispersed, every church can make an impact locally and globally. How will the questions above challenge you to live small and dream big? Todd McMichen (@ToddMcMichen) is chief campaigns officer at Auxano.